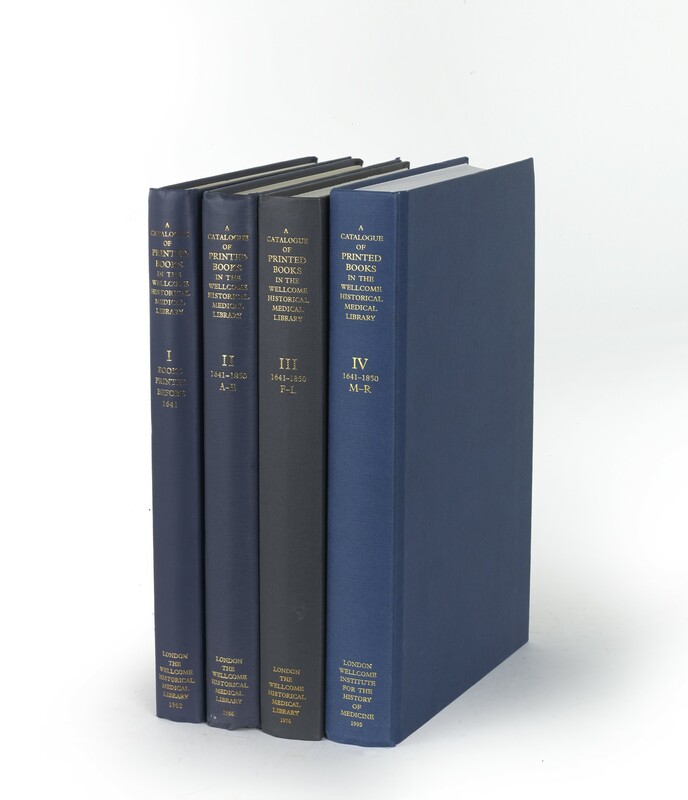 Four volumes (31 cm), I (1962): 407 pp. II (1966): 540 pp. III (1976): xvi, 565 pp. IV (1995): xiii, 603 pp. Uniform publisher’s blue cloth. - First editions. The concluding volume (Books printed from 1641 to 1850, R-Z) published in 2006 is not present (ISBN 1841290610). ¶ Excellent, unmarked set. (31 cm), 407 pp. Uniform publisher’s blue cloth. 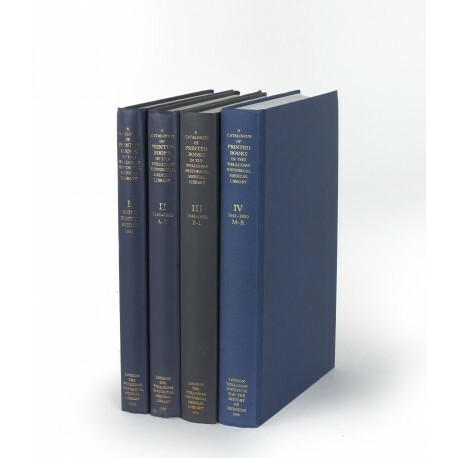 - Contains nearly 7000 items, including the 610 incunabula which had been described more fully in the separate Catalogue of 1964. First edition. ¶ Fine copy. (31 cm), xi, 540 pp. Uniform publisher’s blue cloth. - Records some 18,000 items, excluding the collection of Medical Americana acquired in 1962 and reserved for a separate catalogue (Robin Price, An annotated catalogue of medical Americana in the Library of the Wellcome Institute for the History of Medicine: books and printed documents, 1557-1821, from Latin America and the Caribbean Islands and manuscripts from the Americas, 1575-1927, London 1983). First edition. ¶ Fine copy. (31 cm), xvi, 565 pp. Uniform publisher’s blue cloth. - First edition. ¶ Fine copy. (31 cm), xiii, 603 pp. Uniform publisher’s blue cloth. - First edition. ¶ Fine copy.